Patreon support now standing at 411 – last week 407 Help us get to 500 Patreon Supporters. 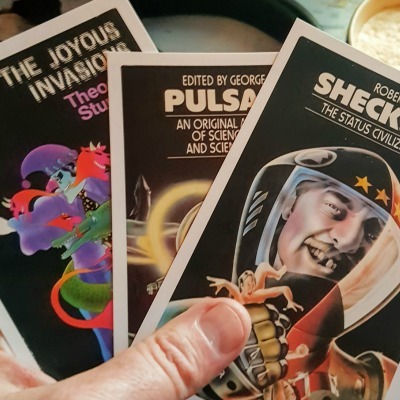 Categories: Podcast | Tags: aliens, character-driven, Chris Barnham, Gareth Stack, interzone, the thing? Rachael K. Jones grew up in various cities across Europe and North America, picked up (and mostly forgot) six languages, and acquired several degrees in the arts and sciences. Now she writes speculative fiction in Athens, Georgia. Contrary to the rumors, she is probably not a secret android. Rachael’s fiction has appeared in dozens of venues, including Lightspeed, Beneath Ceaseless Skies, and Strange Horizons. Follow her on Twitter @RachaelKJones.